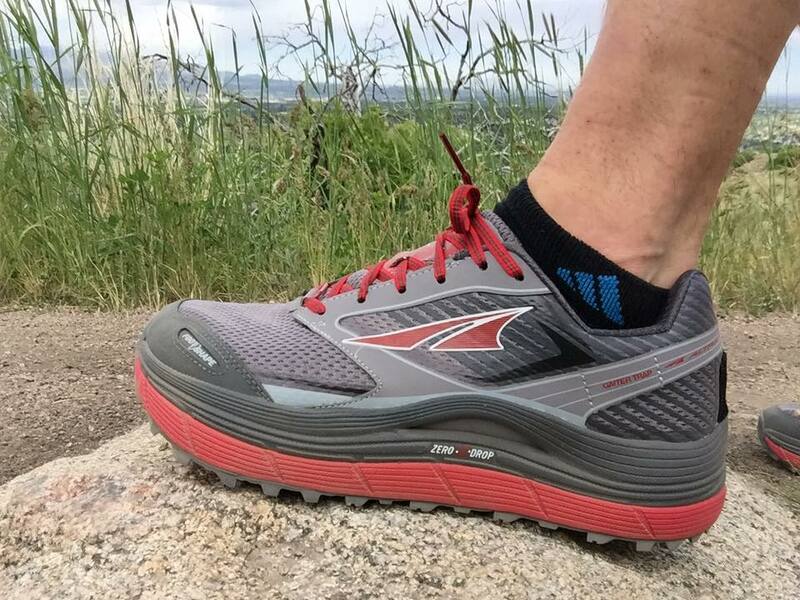 We have a special place in our hearts for the Altra Olympus 2.5. This latest edition Olympus is our all-around favorite, most versatile, most comfortable, zero-drop, max cushion shoe. 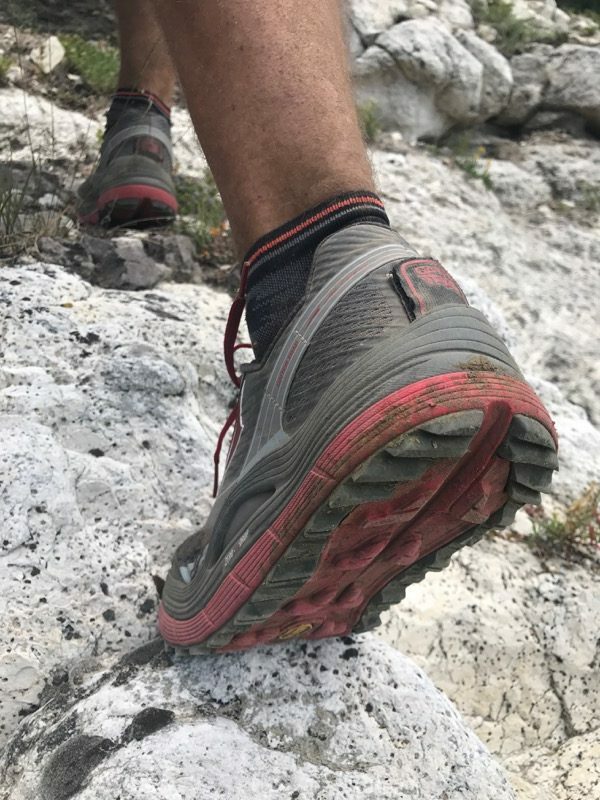 The shoe features a 36mm stack-height, Footshape toe box, Vibram Mega Grip outsole, an abrasion resistant mesh (huge improvement from previous models), and one of the most natural, actual foot-shaped lasts available in current running shoes. The Olympus 2.5 keeps the Vibram MegaGrip outsole, foot shape toe box and zero drop platform of the Olympus 2, while reinforcing the mesh upper for durability and breathability. The collar of the shoe is also noticeably more padded and the gaiter trap has been updated to a 4-point system. 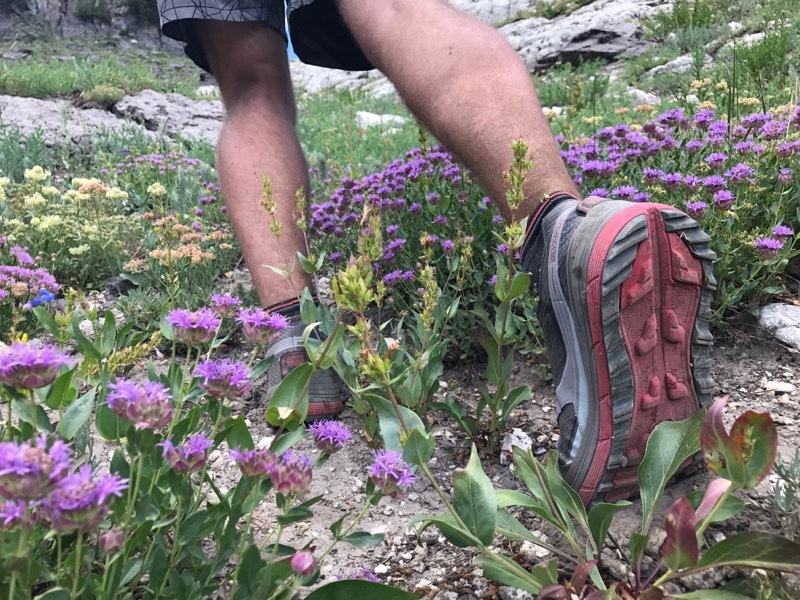 These shoes were tested in nearly every trail conditions including steep ascents and descents in rain and slick terrain. The newly reinforced areas around the shoe laces and midsole provided more durability and will hopefully decrease some of the issues with blowing out the side, which testers have reported with the last two editions. The upper sole mesh was also upgraded so that it doesn’t stretch as much – resolving previous complaints about having to tighten the shoelaces as far as they’d go in order to secure the forefoot and heel. We were also impressed with the color combinations used on the Olympus when compared to previous models. The upper of the Olympus 2.5 is not as flimsy as the previous version, it has been reinforced and made to be even more breathable. 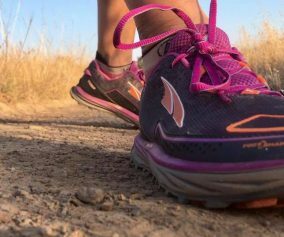 The extra breathability means, however, that there may be a fair amount of sand/fine dirt in your shoes after a long run. 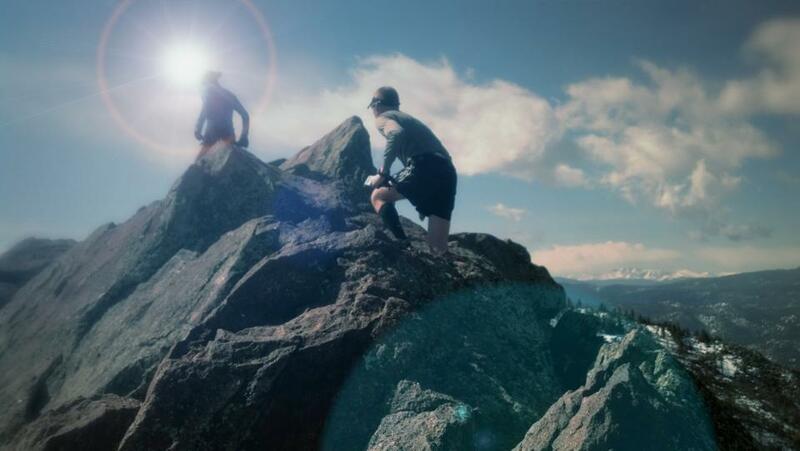 The durability of the shoe has increased and the shoe’s upper has held up well. The midsole is where the max-cushion presents itself the best. It allows for a comfortable but sturdy ride. 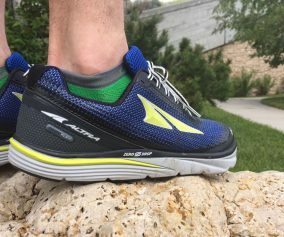 The Altra Olympus are a dream to run in. 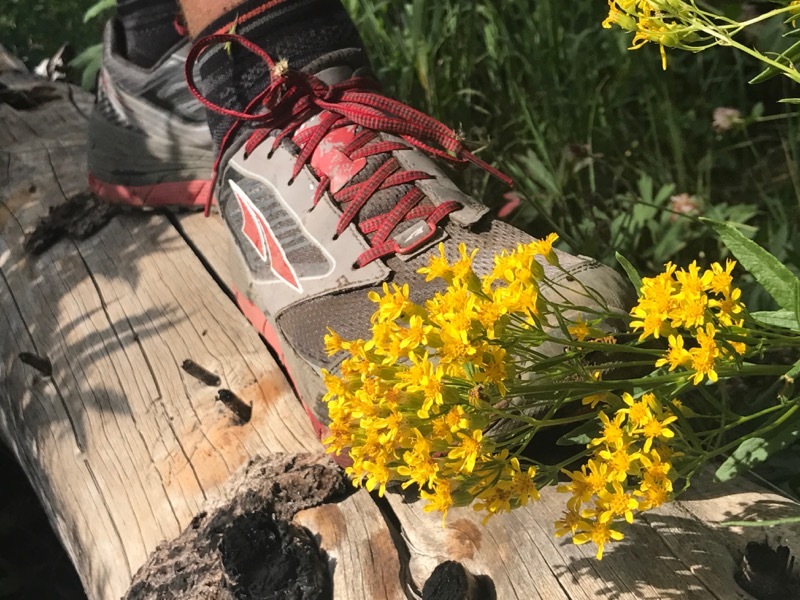 Although proprioception on the trail won’t be as great as in a more minimal shoe, the Olympus maintained some ground feel and felt stable and light. 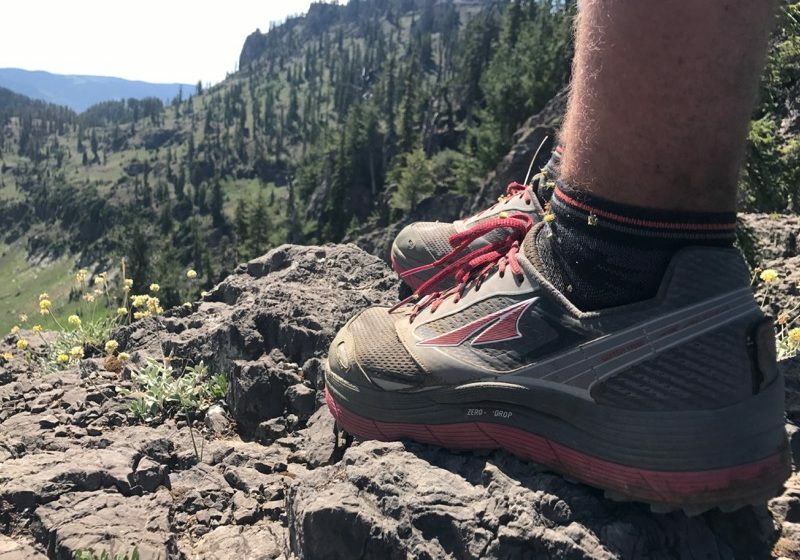 Like most max cushion shoes, testers reported their feet still move in technical terrain and may create an off balance feeling, especially if you’re not used to it. 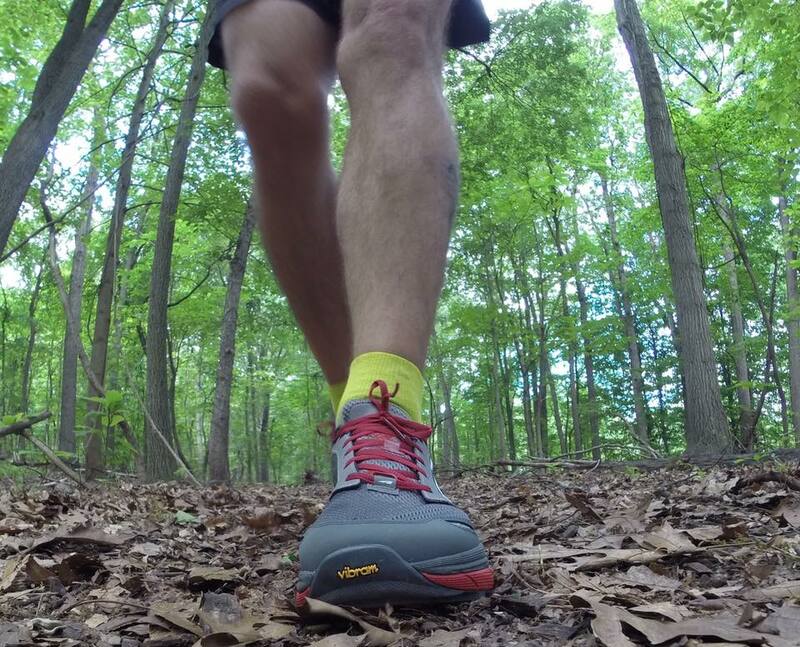 The outsole was a hit among testers. The Vibram Mega Grip Rubber and lug size work well for this particular type of shoe. They were just right for non-technical to moderately technical trails and worked surprisingly well on technical terrain. 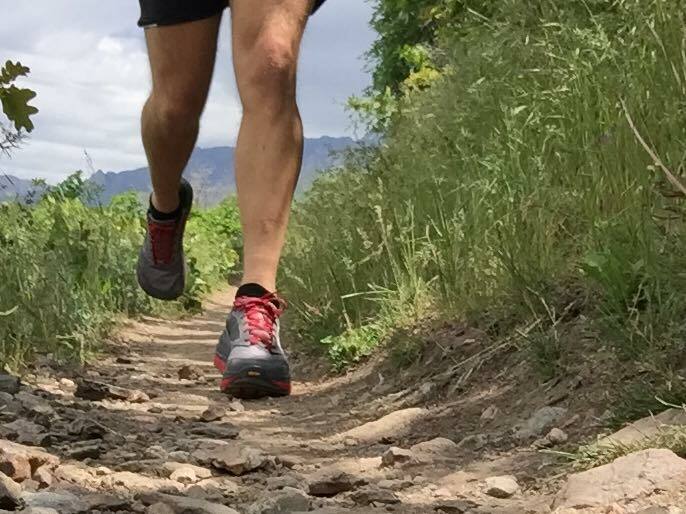 Because the tread is spaced pretty far apart, it is difficult for mud, dirt, and pebbles to get wedged in between them and their spacing allows for good to very good traction on wet and slippery trails. Some wear and tear was noted on the cushioned area around ankles, probably due to the much thicker collar, but the forefoot held its shape. I have all previous versions of the Olympus. I’m looking to get the new Olympus or Paradigm. 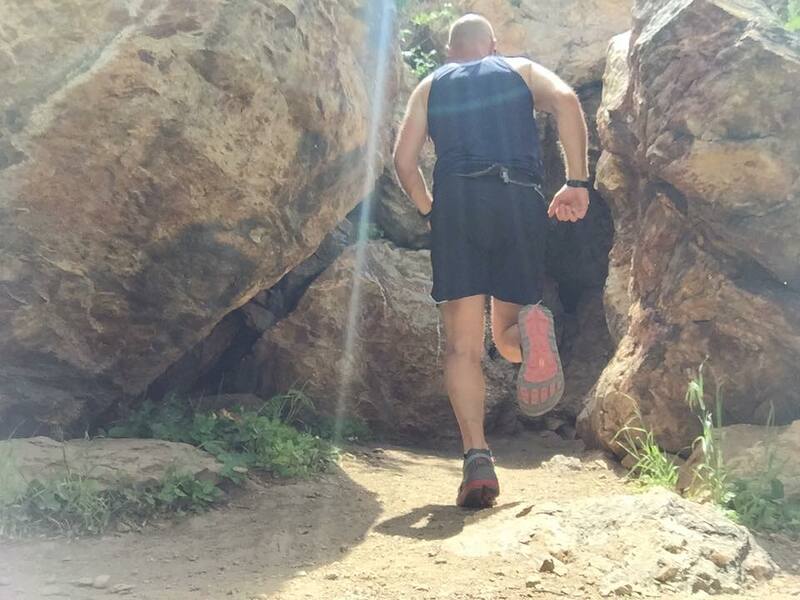 I will be doing more road running this year, training for the SD Marathon. Which model would you recomend? I would recommend the Paradigm if you’ll mostly be on the road. 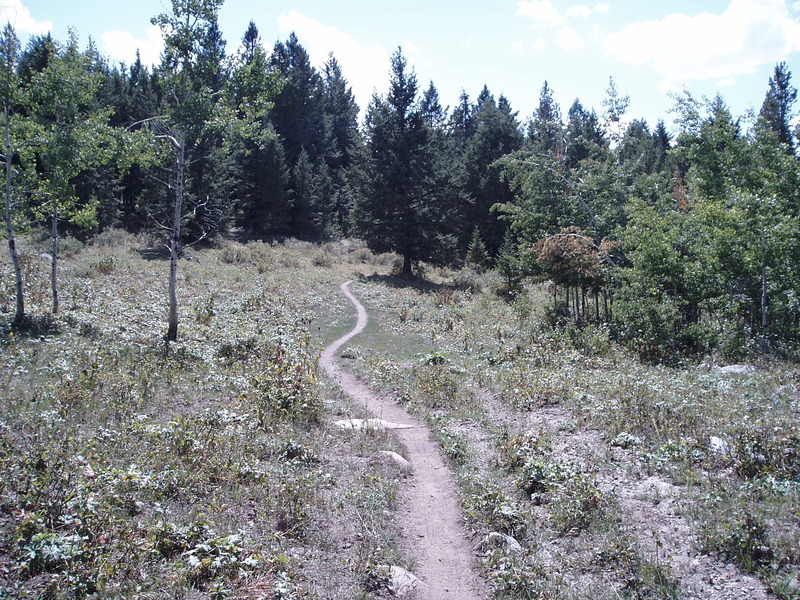 It actually transitions pretty well to the trails as well for those days when you want to hit the dirt. Thanks, that is what I was thinking, based on past models. Just wanted to make sure it’s still similar. No mention of the fit changes? The 2.5 fits drastically different than the previous model in the toe box. I have had to switch to the timps. This seems more like an advertisement than a review. Hi Adam – thank you for your feedback! 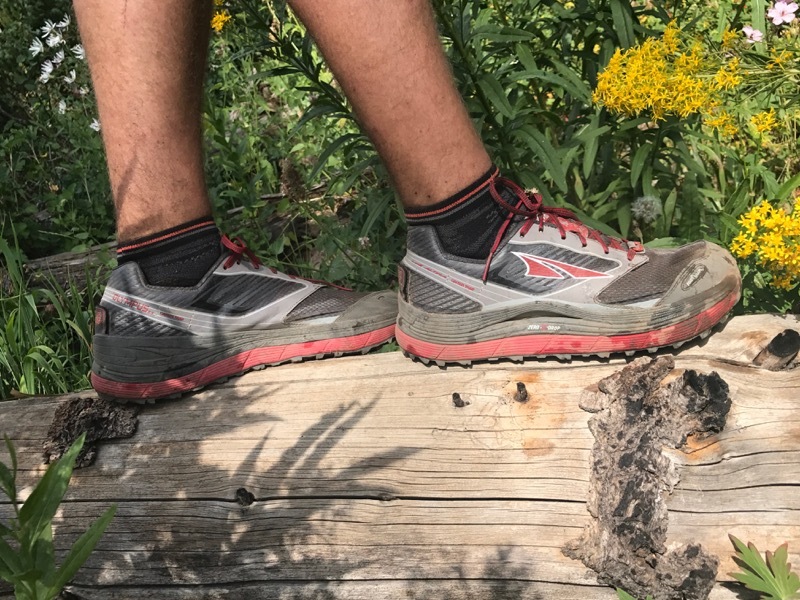 Some testers noted sizing differences (which unfortunately is not uncommon for Altra). We did not see a significant difference in the overall fit from previous models. I personally found them to fit quite well, and actually prefer them over the Timps, but as with most shoes, everybodys fit and preferences are a little bit different than others, so it’s always interesting to see everyones perspective when a new shoe comes out. I’m from Italy. I usually wear size 12 of the Olympus 1.5 and 2.0, but the 2.5 is 7 mm (9/32″) shorter than the previous series! I measured this difference by overlapping the original insoles. This difference is not acceptable (at least within the same type/series of shoe) and caused me pain in my first long run with them. I am having problems with Morton’s Neuroma and need a relatively stiff-soled shoe. 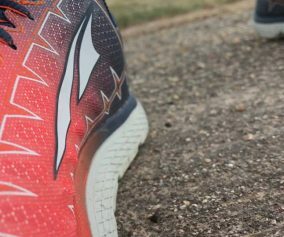 Do any of the Altra trail shoes have a stiffer sole? Yes that’s why I bought the Paradigm 3 and Alison olympus 2.5 although I prefer the Paradigms. How bout the sizing ? 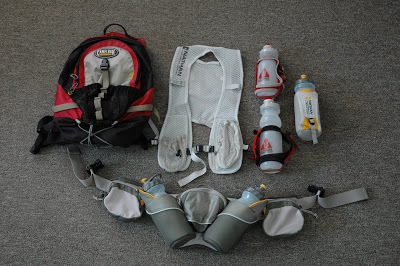 Is it true to size or half size smaller like lonepeak ? Late response but might help some? Very short IMO. My foot measures 11 so I ordered the Olympus in an 11.5. To short and sacrificed a toenail. Returned and got a size 12. 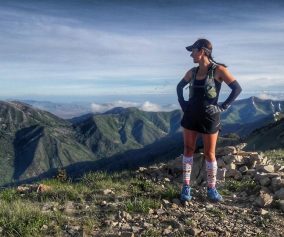 While ok for most trails in technical terrain (think White Mountains) the 12 is to short and toes hit the front even with lace lock lacing. 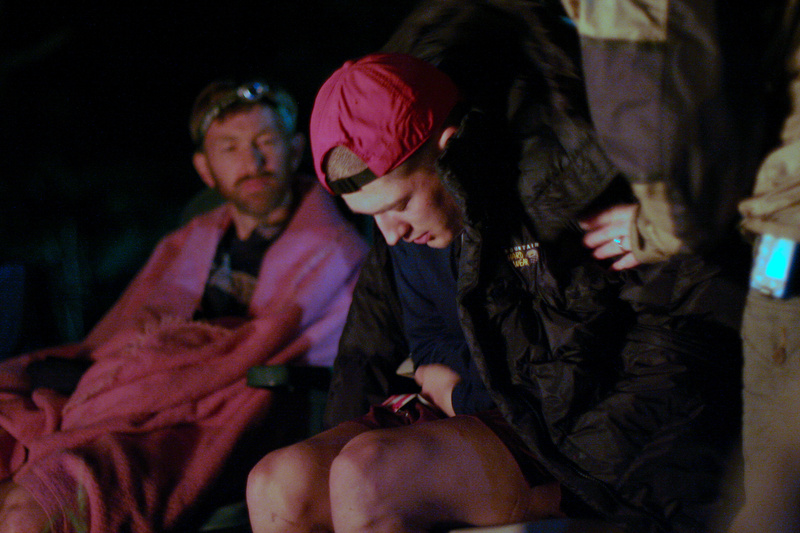 This was just hiking NOT even running. 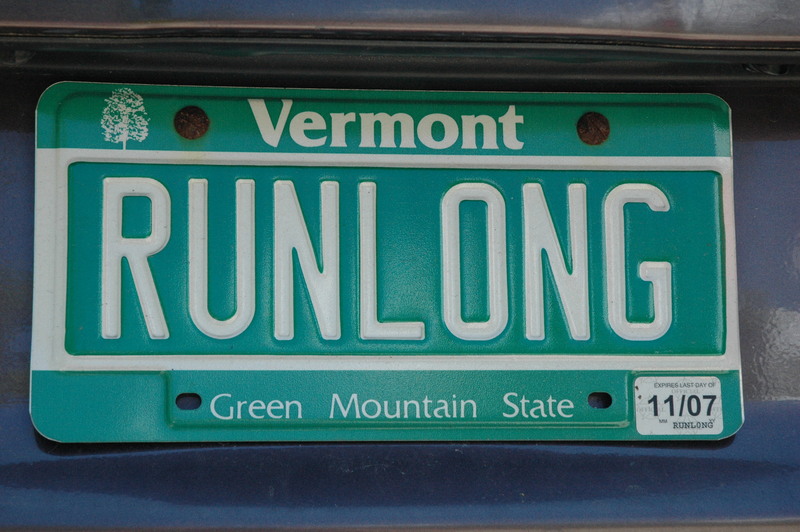 For running that terrain I would go to 12.5. Not the first time I’ve read this about Altra’s but it is disconcerting. 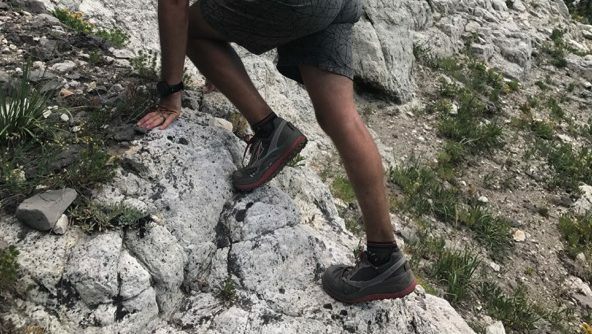 Otherwise I like the shoes, grip is so much improved vs Lone Peak which is a fail for technical terrain and the comfort is stellar. That being said I will try the Hoka Mafate Speed 2 which is a max cushioned shoe with larger toe box than their much hyped Speedgoat 2 which I really liked except still to narrow a toe box. The Mafate also has the Vibram MegaGrip sole which is a godsend in technical terrain like the Whites. This may be an advertisement. It is not clear that it is a true review. 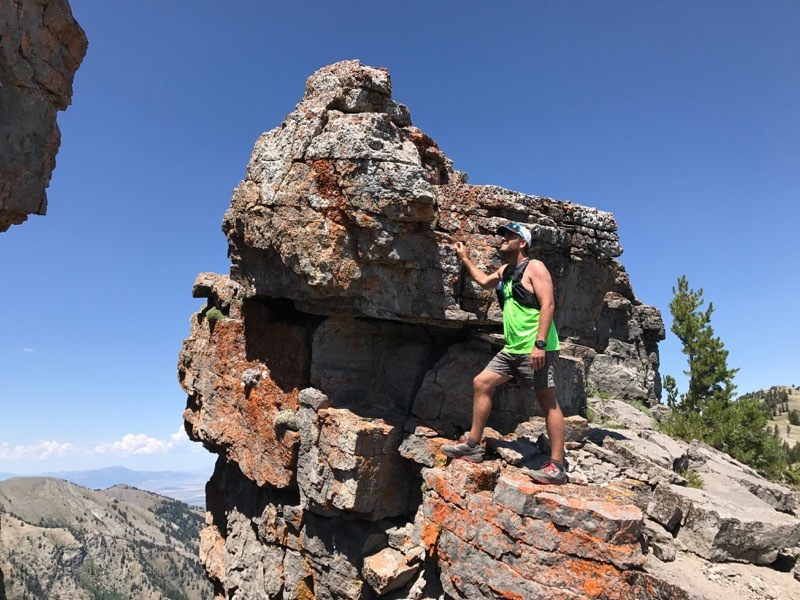 Hi Alan, we had multiple runners across the country run hundreds of miles in the Olympus and provide their feedback for this article. We genuinely liked this version of the Olympus, hence the positive review. Is the sizing of the Olympus 2.5 consistent with that of the Paradigm 3? I have the Paradigm 3 and man are they sweet! Hoping the sizing is the same as 11 fits me perfectly.